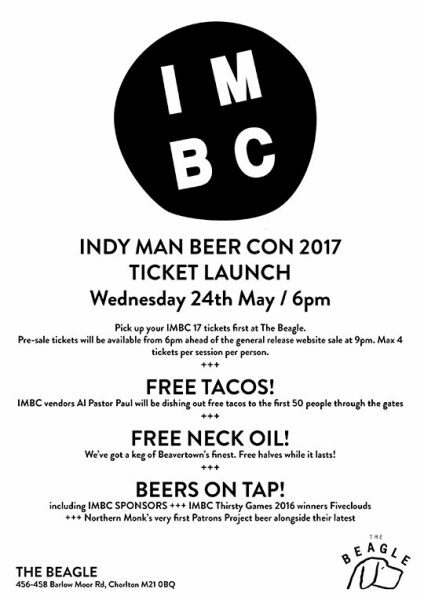 To celebrate the launch of IMBC 17 tickets (general release Wednesday 24th May @ 9pm via HERE) we are holding TWO launch events at Port Street Beer House AND The Beagle on Wednesday 24th May from 6pm. If you can make it in person to either pub you will have the chance to pick up limited advance tickets from 6pm, limited to four tickets per person per session, ahead of the general website ticket release at 9pm. 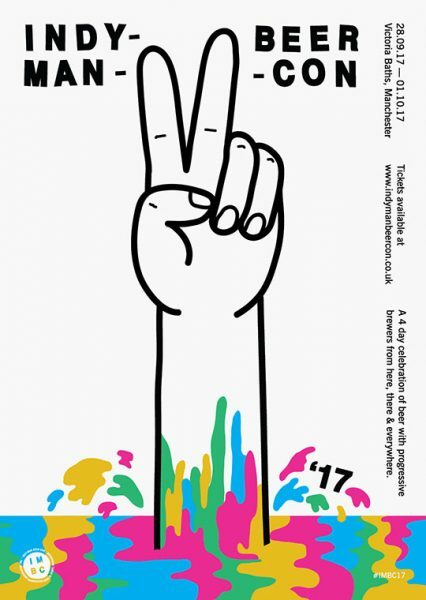 See posters below for what’s happening. There will be free tacos galore from IMBC food vendors Al Pastor Paul at both pubs PLUS very special tastings from Buxton, Hawkshead, and Cloudwater at Port Street Beer House. Meanwhile, The Beagle will be pouring out free halves of Beavertown Neck Oil until the keg runs dry. Alongside this fervour there will also be a host of IMBC picks pouring across each bar. 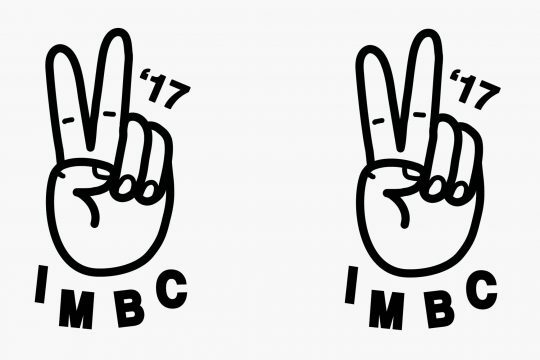 Last but not leastly, we recently revealed the artwork for IMBC 17. Made by the fair hand, as ever, by Steve Hockett of Wonder Room Studio.